With temperatures rising and golf season in full swing, now is the perfect time to dust off your clubs and hit the course. Better yet, why not take your clubs abroad and squeeze in a round of golf while also enjoying a relaxing holiday? There are plenty of destinations where you can play golf, which also offer something for the whole family. Here are our top picks of the great golf destinations you can jet off to this summer. 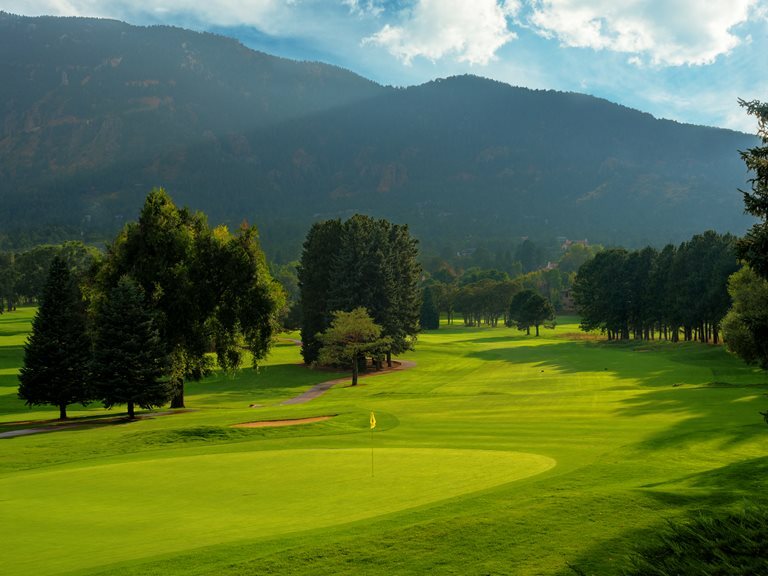 Located just half an hour’s drive from Denver’s International Airport, the legendary Broadmoor is 100 years old this year. It is made up of three 18-hole courses and has played host to some of the most iconic names in golf. In fact, Jack Nicklaus won his first major tournament, the U.S. Amateur, at the Broadmoor aged just 19. While you try to recreate The Golden Bear’s shots, your family and friends can sample some stunning lake and Rocky Mountain views from an outdoor infinity pool. They can also play tennis, go white-water rafting, ride horses, or just sample the pure mountain air. What Ireland lacks in warm temperatures, it makes up for in pristine courses like Royal County Down. Sitting beneath a vast stretch of dunes along the Irish Sea, Royal County Down offers panoramic views of Newcastle and its stunning beaches. 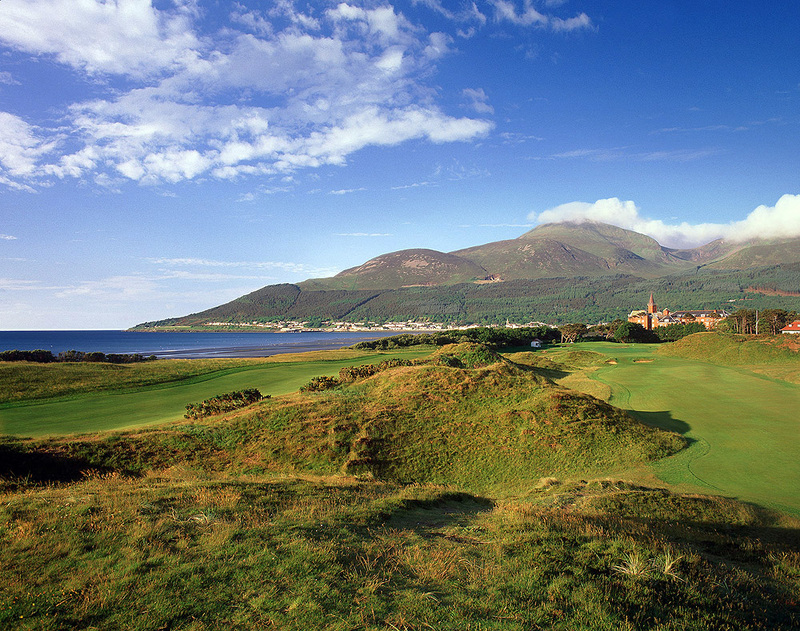 Not only is it one of Rory McIlroy’s favourite golf courses, it is adjacent to the award-winning Slieve Donard Resort and Spa, so a perfect break for you and the family. If you fancy an impromptu golf trip and don’t necessarily want to splash the cash, this might just be the destination for you. 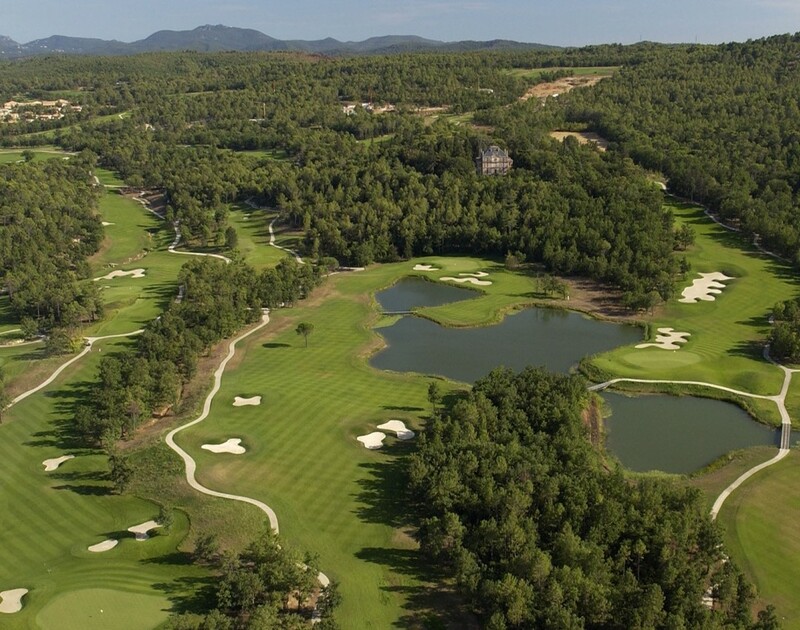 Nestled among the beautiful landscapes of Provence Côte d’Azur in southern France, Terre Blanche is widely regarded as the best golf club in continental Europe. 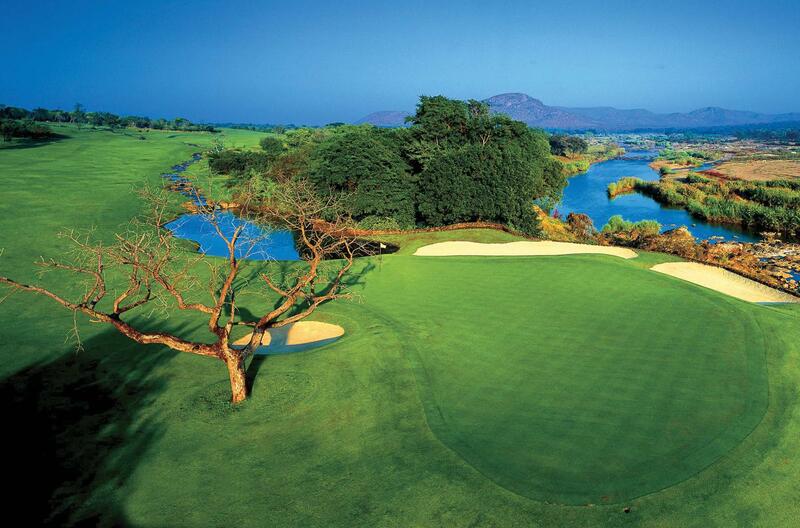 It houses two demanding 18-hole championship courses – Le Château and Le Riou. Le Château is a highly demanding course which requires complete precision, with the surrounding lakes presenting significant water hazards. Le Riou, on the other hand, is a slightly shorter course featuring steep fairways and elaborate greens, which calls for a variety of strokes and experienced game strategy. The 5* Terre Blanche Hôtel Spa Golf Resort offers 115 suites and villas with private Jacuzzis and a range of gourmet hotspots, including the Michelin-starred restaurant Le Faventia. 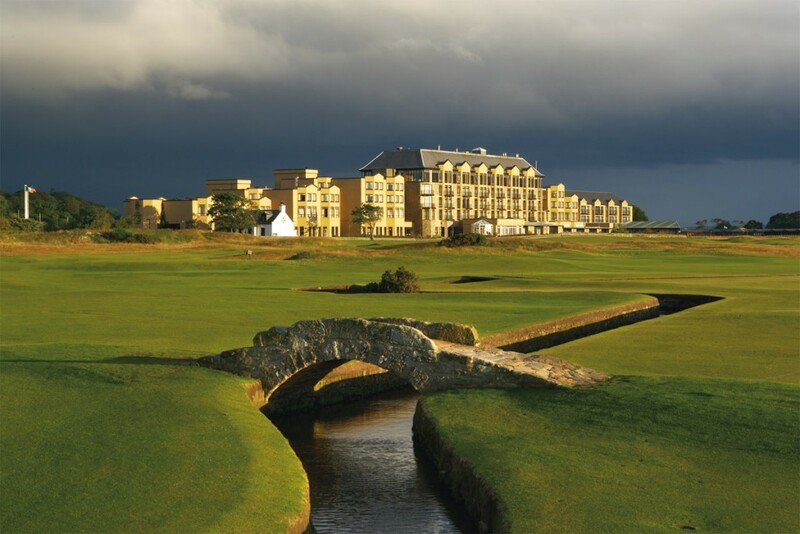 Ok, it maybe feels like cheating putting a British golf course in here, but such is the allure of St Andrews that it’s a destination for golfers the world over. Labelled the ‘Home of Golf’, St Andrews boasts one of the oldest courses in the world (over 600 years! ), fittingly titled the Old Course. However, should you wish to play this course, its exclusivity means there are certain conditions. The handicap limits are 24 for men and 36 for ladies – and there is a Ballot system required for booking a round! In total, there are seven courses to choose from in the “Auld Grey Toon” and if you’re taking the family, the Old Course Hotel offers plenty of outdoor and child-friendly activities. Located in the small village of Kohler, the American Club is comprised of four courses created by legendary designer Pete Dye. If that wasn’t impressive enough, all four courses featured in Golf Digest’s list of America’s 100 Greatest Golf Courses for 2017/18. 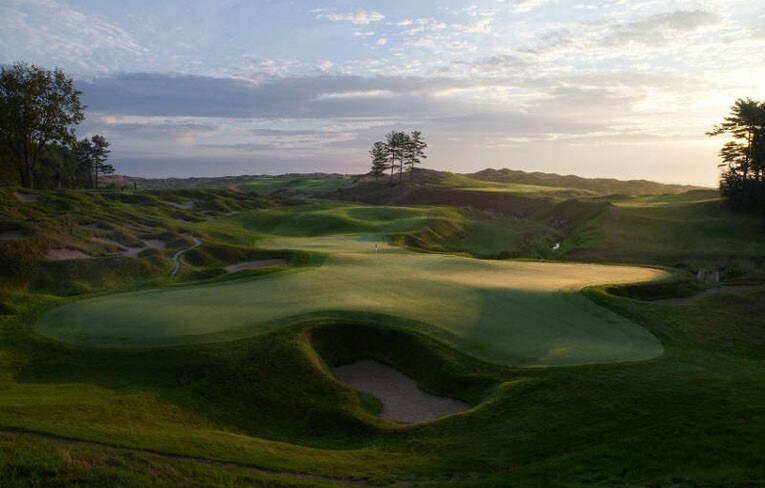 One of these is Whistling Straits, which has been the site of three PGA Championships and will host the 2020 Ryder Cup. Despite Kohler’s population being just over 2,000 people, there are a wealth of options when it comes to places to stay. The Carriage House resort includes complimentary access to the Kohler Waters Spa and a rooftop spa experience. However, if you’d prefer a more secluded space in which to relax and unwind, you can hire your own private cabin in the nearby town of Mosel, which is only a 10-minute drive from the American Club golf course. 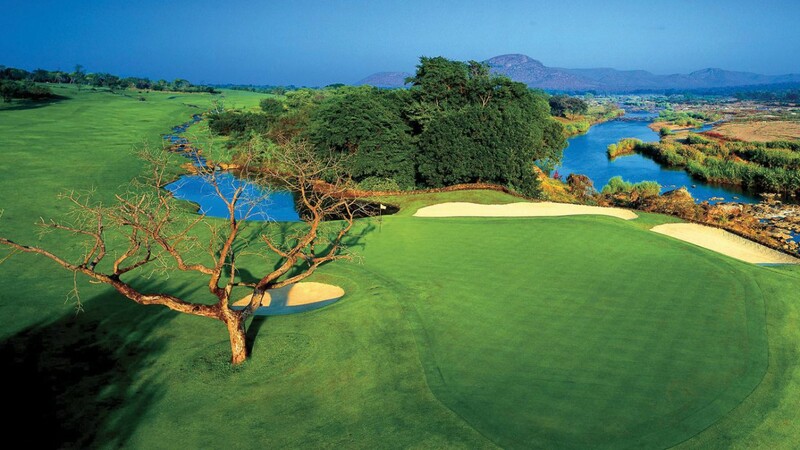 Designed by golf legend Gary Player, Leopard Creek is a truly distinctive golfing destination. It is located at the edge of the Kruger National Park, one of Africa’s largest game reserves which houses a vast array of wildlife. As such, golfers who visit Leopard Creek face a number of unique challenges. First, trying to keep the ball out of the river; second, trying not to be distracted by their often unsettling spectators. Hippos, giraffes and the eponymous leopards are just some of the animals you can expect to encounter on the fairway. Although Leopard Creek is a private club, it is open to guests from a number of local safari bases, including the Jock Safari Lodge. The lodge is set among 6,000 hectares of natural landscape and guests of all ages can learn about the local culture by going on designated game drives and wilderness walks. Another Pete Dye masterpiece, The Teeth of the Dog is consistently ranked as the number one course in the Caribbean. It’s regarded by golfers as being a ‘bucket list course’, as it features seven holes on the Caribbean Sea, breath-taking views of the Dominican mountains and some of the best par 3s in golf. That said, it’s far from a breeze – in fact, the coastal breezes are what makes this course so challenging. No two holes are the same, either, so you’ll feel the metaphorical bite of this course as you make your way around it. As a golfing experience though, the Teeth of the Dog is unforgettable. 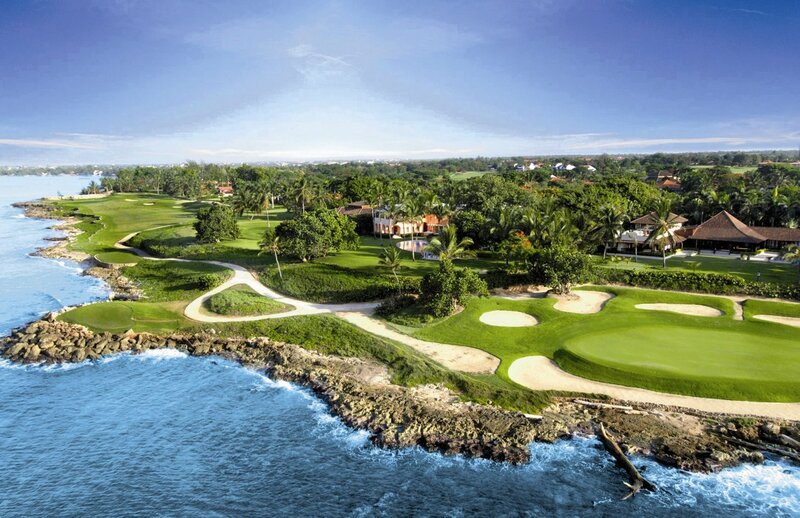 It also helps that the course is part of the Casa De Campo tropical seaside resort in La Romana, which has hosted royalty, Hollywood stars and most recently the rapper Drake (if this makes you any more inclined to visit!). With so many incredible golf courses like these gracing the world with their presence, it’s hardly surprising that golf holidays are on the rise. However, if you’re going on a golfing holiday, you need to ensure you’re protected should the worst happen. After all, you want to remember it for all the right reasons. That’s why, at Golf Care, we offer Worldwide Cover to protect your clubs, bags and accessories against loss, theft, and damage when you travel. To discover just how affordable peace of mind can be, get an instant online quote with us today.